Networking is not selling. Networking is not selling. Networking is not selling. Have I gotten my point across? Rather, networking is about building relationships and trust. It’s easy to get caught up in the idea that networking is selling, but that concept is myth. Everyone in a firm is responsible for networking as it should be a vital component of their job, although some employees play a larger role than others. There are people who dread networking events and people who love them. But networking is an effective business tool, because it can truly take place anywhere. It really boils down to communicating with another person, so essentially you are networking and building relationships every time you make contact with someone. There are informal and formal settings for networking. You can be standing in line at the grocery store and strike up a conversation with the person in line, which leads to meeting someone new. Other informal places you can network include restaurants, bars, gyms, or children’s sporting events, among others. More formal places would include trade shows, conferences, social mixers (local Chamber, Business Journal, Young Professionals, etc. ), education or training, award ceremonies, ribbon cuttings, business open houses, and other events held by industry associations, civic organization, or Chambers of Commerce. Finding an event to attend every day is highly possible! However, attending an event every day is probably not a good strategy for networking, because you are most likely busy with other responsibilities in your job. Be selective and strategic in your networking efforts, so you see payoff in attending them. With any position that entails discovering new business opportunities (e.g., principal, project manager, project architect, business developer, or marketer) it’s your responsibility to find organizations and associations that your clients are involved and attend those events consistently. Remain visible to your clients and prospects as much as possible to build those relationships and add value to what they are doing. Pick two or three organizations and get involved. Be strategic and focused. Networking is 100% about the other person — not about you. Listen and ask open-ended questions, so you can learn more about the person and their needs. Theoretically, you should be talking only 30% of the time, allowing you to communicate what you are looking for and how you could potentially help them. By finding a win-win relationship through conversation, you can make valuable connections and bring more business in the door. Creating win-win relationships allows both you and the person with whom you are networking to walk away with valuable information. This may be that each of you are in the same market prospecting the same type of clients, or maybe it’s a mentor/mentee relationship. It’s all about asking questions and discovering how you can help one another. Discovering how you can both get something out of the professional relationship is crucial to a continued, successful relationship with that person. You have lots of knowledge and experience to share with others. No one has walked in your shoes but you, so you have a variety of expertise to share with others that can help them in their career or life. There are certain topics you are the expert in, so by sharing your knowledge you are helping people become more well-rounded and educating them. You can learn from others just the same. Sharing connects people, because each one can learn from the other without making the same mistakes. It’s not just about connecting with one another but utilizing your entire network of people you already know. If you have determined the person you just met might be able to help one of your existing connections, then introduce them. People appreciate you thinking of them and helping grow their business and network. It’s always thinking about how you can help the other person. Consistency is the most important factor in networking. You can’t show up one time and expect to see life-changing results. You must consistently attend events, follow up, and stay in front of your clients and prospects. Be a reliable resource and help them with their challenges. If this requires you to set up reminders, document in a CRM database, or create a spreadsheet, then by all means do it! If you aren’t out there, then people forget about you. You’ve got to stay in front of them on a regular basis. Following up is instrumental to your character and also shows you are dependable. When you tell someone you are going to do something, it is imperative to follow through and complete that request. Add them to LinkedIn or write them a handwritten thank you card. The personal touch goes a long way and makes you memorable. Say Thank You! If someone refers or connects you with someone, make sure you thank them. This can be a handwritten thank you card, an email, taking them to lunch, or inviting them to a networking event. Networking is a very selfless act, and unfortunately too few people are skilled in this arena. However, with some focused attention and practice, you can become a successful networker in your career. 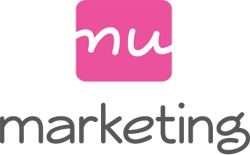 Nu marketing provides strategic plans for architecture, engineering, and construction businesses. We can help take your company to the next level. 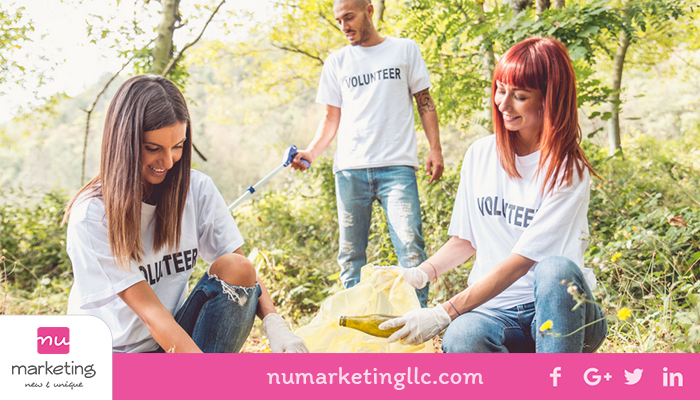 Call today or visit our website at www.numarketingllc.com to learn more. Marketing vs. Business Development vs. Sales – What’s the Difference?